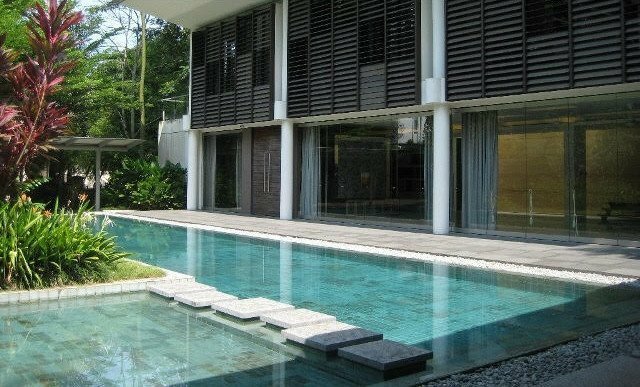 This freehold 2-storey Good Class Bungalow (GCB) with basement is located at exclusive Belmont Road, off Holland Road. Although nestled within a private and tranquil neighbourhood far from the madding crowd, it is just a short walk to Holland Village MRT, shops and restaurants. The house boasts a modern tropical design, and a long driveway where you can display your collection of cars. The spacious living area opens up to a beautifully landscaped swimming pool and garden. With 4 large bedrooms, land area of 16,327 sqft and floor area of 11,502 sqft, you and your loved ones will have plenty of space for living and entertaining. For details and a private viewing appointment, please contact Benson at 83187083.